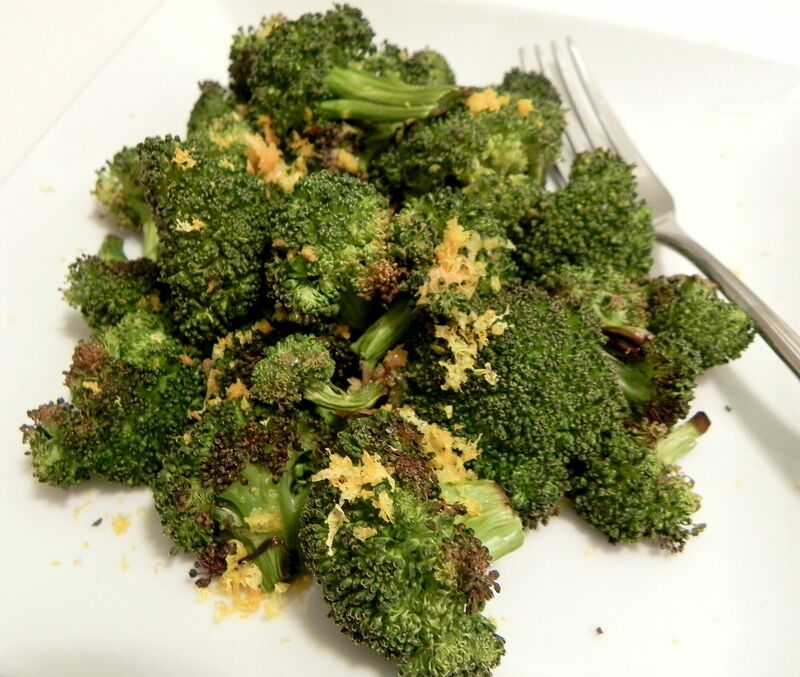 This side dish is made of a small amount of carbohydrates thanks to the fiber in the broccoli. Pair it with a meal composed mostly of protein and fat and a small additional amount of carbs to make it balanced and stabilize your blood sugar. Dysphagia Level 1 – Pureed – First, steam or boil broccoli instead of baking. Add broccoli and remaining ingredients to a food processor and puree into smooth. Strain and serve. Dysphagia Level 2 – Ground/Mech Soft – Steam or boil broccoli instead of baking. Season with lemon-pepper seasoning, lemon juice, and orange juice. Omit lemon and orange zest. Dysphagia Level 3 – Soft – Steam or boil broccoli instead of baking. Season with lemon-pepper seasoning, lemon juice, and orange juice. Omit lemon and orange zest. Preheat oven to 400ºF. Toss broccoli with oil and lemon pepper seasoning and place on baking sheet. Roast until tops of florets are slightly browned and crispy, about 20 minutes, stirring occasionally. Remove from oven and toss with both juices and zests. Serve warm.